In our last post, we visited Georgia’s Dahlonega Gold Museum and learned about one of the earliest gold rushes in the United States. One of the more successful and largest underground gold mines to come out of the Georgia gold rush was the Consolidated Gold Mine. The mine was formed in 1895 when a group of northern investors bought up 7,000 acres of land around the area, along with all the smaller mines in the process, forming the Dahlonega Consolidated Gold Mining Co.
Today you can relive the glory years of the area’s gold mining era via an underground tour in the Consolidated Gold Mine. 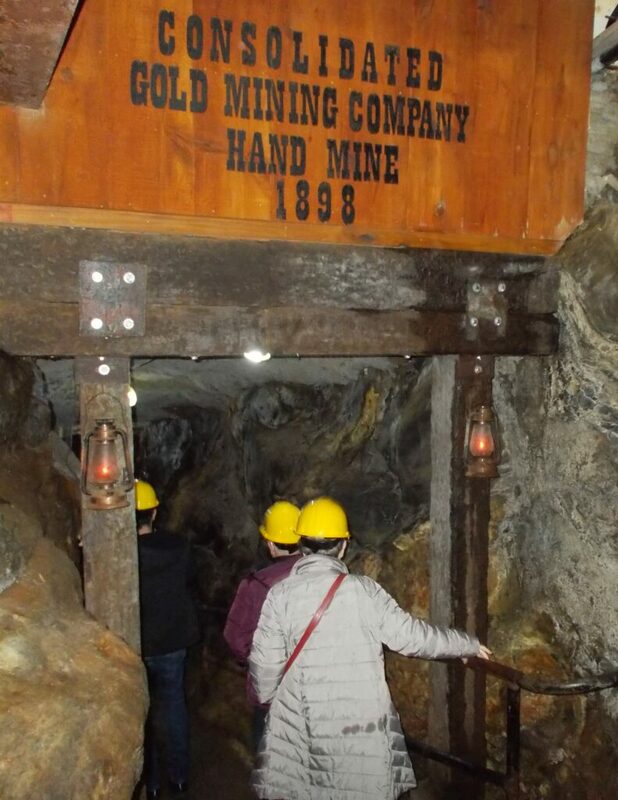 Visitors are invited to travel 200 feet underground and 100 years back in time to explore the same tunnels used by the miners in the early 1900s when the mine was operating and earned the title as the largest gold mining operation east of the Mississippi River. While most of the original surface mine and mill buildings are long gone, visitors will enjoy an informative video presentation about the mine followed by a 40-minute underground tour. Highlights include the glory hole where a record 57 pounds (not ounces) of gold was mined in a 24-hour period, experience complete darkness, and observe a working pneumatic drill. At the end of the tour, you will have a chance to pan for and find your own gold (instructions included). 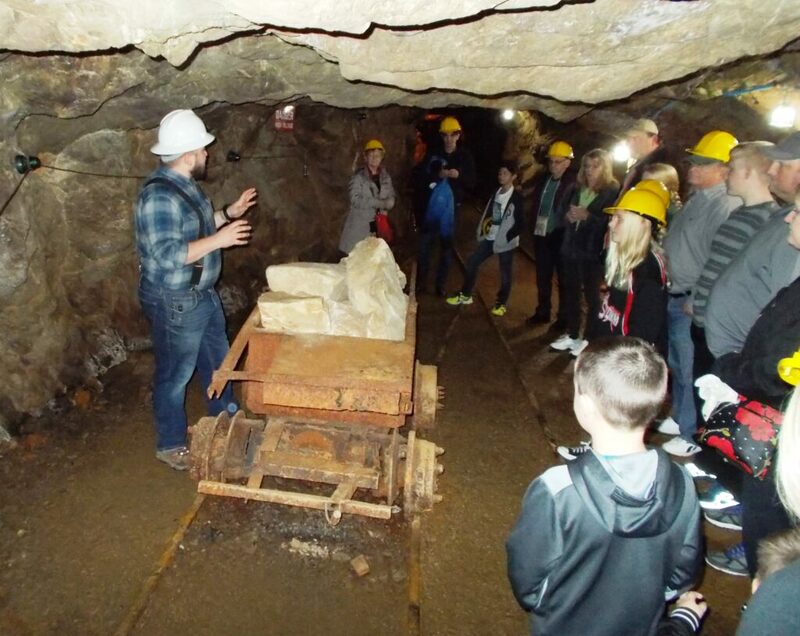 Visitors can enjoy an informative video presentation about the mine followed by a 40-minute underground tour. The mine is open daily seven days a week from 10AM to 5PM rain or shine with the exception of Thanksgiving and Christmas. The mine remains a comfortable 60 degrees year round. The tour involves walking three flights of stairs and two ramps. The tour operators require closed-toe shoes to be worn, with tennis shoes recommended, those wearing flip flops are not permitted on the tour. My wife and I opted to wear hiking boots and we were glad we did as the mine was wet and there were areas of mud on the tour when we visited. There is plenty of level parking for RVs at the mine. If you bring your RV with you when you visit, you might even ask to leave your RV in the parking lot while you explore the nearby Dahlonega Gold Museum. Visit the mine’s website for more information. See our last post here on where to camp nearby. Heading underground and back in time, just another golden adventure in RVing!